Do you enjoy singing, socialising and performing? If you are looking to join a choir in Bewdley, we have a local adult choir which is open to everyone! We meet every Wednesday, 7.15pm (for 7.30pm start) at Bewdley School & Sixth Form Centre. Our choir in Bewdley offers many opportunities for you to perform at events across the county and the Midlands. Places we have performed at include Birmingham Symphony Hall, Dudley Town Hall, Hagley Hall, Ludlow Castle, and even Dublin Cathedral and Disneyland Paris! You can view upcoming and recent events in Bewdley and across the West Midlands here. Love singing up-tempo and up to date music. The teaching is done is such a great way – My voice has improved no end. I’ve made so many new friends at a later stage in my life. I love the fellowship. 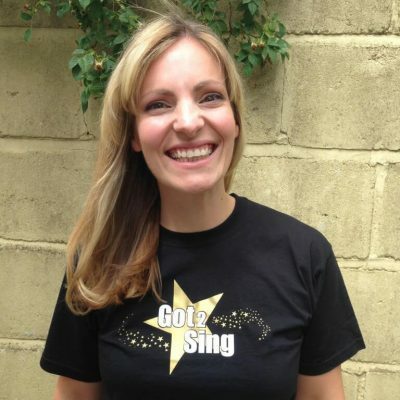 I enjoy singing every week – complete stress relief! There’s lots of friendly people and lots of laughter. I never thought I’d be brave enough to perform let alone enjoy it!